Need help making sense of Insurance Coverages? Tired of calling 10 different companies for insurance quotes? Not sure exactly what is included in your coverage? Are you really getting the best price? These are all questions that are commonly asked when shopping for insurance, questions that Jeff Tippens will answer for you. The Jeff Tippens Insurance agency out of Live Oak, FL is one of the area's best independent insurance agencies. With access to quotes from major carriers like Auto-Owners, Progressive, Travelers and Mercury, you can be sure that you will get the best price for the best coverage for you. Discover the personal difference when you deal with Jeff Tippens Insurance Agency. The agents at Jeff Tippens will sit down with you, learn about the values of the assets you wish to cover and actually take the time to get you only the policy you need, not what the insurance company says you need. 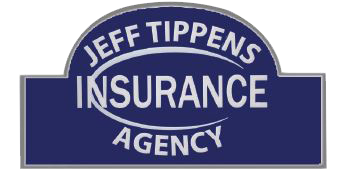 Call the Jeff Tippens Insurance Agency today to get the right coverage for you! With our more than 30 years in the insurance industry, you know you have experience on your side. With an independent insurance agent, you'll benefit from a more service oriented insurance shopping experience. The advantage of an independent insurance agent is you'll have all the information for all our partner companies in one place, removing the confusing language and preventing lost information in the translation. At the Jeff Tippens Agency, we'll go over your risk and what you stand to lose, allowing us to get you the best price for the best coverage based on your needs. Our job is to advise you first. Call Jeff Tippens today. There are wide-ranging penalties in Florida for driving uninsured. First-time offenders face a $150 reinstatement fee and license suspension of up to three years—unless proof of insurance is provided in a timely manner. Don’t drive around unprotected and risk fines and other consequences. Jeff Tippens Insurance Agency in Live Oak, Florida, has a number of auto insurance options. We’ll look at your current policy, driving record and vehicle, and connect you with a car insurance policy that meets your needs and budget. You don’t want to lose your license or face litigation because you caused a wreck. Choose Jeff Tippens Insurance Agency in Live Oak for the auto coverage you’ve been looking for. "I have been with Jeff Tippens Insurance Agency, Inc. for over 7 years. They provide great service and are happy to assist. He is knowledgeable and helpful and has provided service that is above and beyond what I expected. He and his staff are professional and efficient. I have had to file a claim on my home flood insurance and my auto insurance. The service they provided was exceptional. Any agent can write a policy for you - it's the service you receive when you have a claim that matters much more. I can and do recommend Jeff Tippens Insurance Agency to my friends." "Jeff Tippens and his staff are great at what they do"
"I have been with Tippens Agency since inception. I used to shop around every couple of years for insurance because the honeymoon period would last about that long before rates would go up. Since I have been with Tippens Agency, I gave up shopping for two reasons: 1. No one can give me the amount of coverage I have at such an affordable price; 2. Mr. Tippens shops around for me. He always lets me know if we can do better with my policies. I have all my policies with his agency including life insurance. Every couple of years, I make an appointment to sit down with Mr. Tippens to go over my policies to make sure everything is working for me. We usually sit in my kitchen and talk insurance over a cup of coffee. By the way, I live 85 miles from the office. How many people can say that about their agents...not many. I recommend Tippens Insurance Agency to everyone I know." "BEST INSURANCE AGENCY TO MEET ALL YOUR INSURANCE NEEDS!"